All the best features of the Ksyrium Pro with the added benefit of our exclusive Exalith rim surface treatment. This wheel system delivers incredible versatility and all-rounder capabilities plus stunning looks and braking performance. Exalith is a special chemical treatment that penetrates deep within the aluminium rim material for multiple benefits. First, the rim is reinforced, notably at the brake track, so there’s very low wear over time. Braking power is greatly improved, reducing stopping distances by up to 20% compared to traditional aluminium rims, in both dry and wet conditions. Specific Exalith brake pads ensure quiet braking and limited wear. The rim has a stunning all-black finish that lasts for thousands of kilometers. We use Fore drilling to keep the rim light and strong, plus Zicral spokes that are stiffer and lighter than traditional steel spokes. 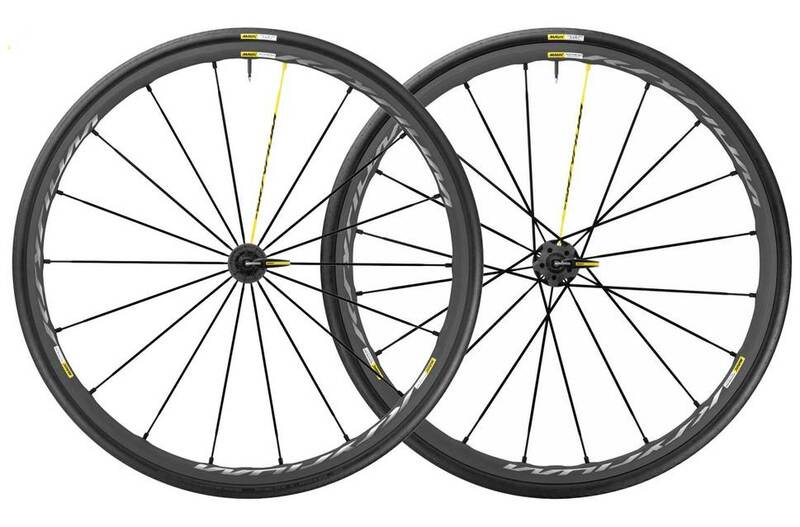 Iso-pulse lacing improves stability and stiffness under high loads, and a new wider rim (17mm internal width) features ISM 4D technology (Inter Spoke Milling) to further reduce weight to just 405g. Excess material is removed from the lower bridge and sidewalls, so the rim is super light but still strong. Matching Yksion Pro tires, specifically designed for front and rear use, offer an ideal balance of efficiency, grip and lightweight. Made with a supple 127 TPI casing, they weigh only 205g in 25mm. The Ksyrium Pro Exalith system is available with 23mm or 25mm tires.